During, the next 5 episodes of this drama, I was astounded by just how bittersweet the emotions were. Within the first episode I noticed every feeling just pouring out, sadness, happiness, love, care, jealousy, frustration everything. It was enough to just make you cry at the things they said to each other and the strain their relationship suddenly had to put through. In Episode 6, their relationship suddenly has a time limit, and the moments they spend together are even more upsetting and bitter to watch, with an essence of sweetness. The sacrifice that Mu Cheng must put herself up for, is horrible, in order for Guang Xi, to start a new life. I think his mother, thinks she is doing the right thing, but she is horribly wrong, she’s too high on her horse and really has to get off of it, or else she will lose her son, maybe not at the present, but definitely in the future. The pain Guang Xi, has to endure, is a good thing that he forgets it because otherwise, to wake up after the operation would be plain heartache. 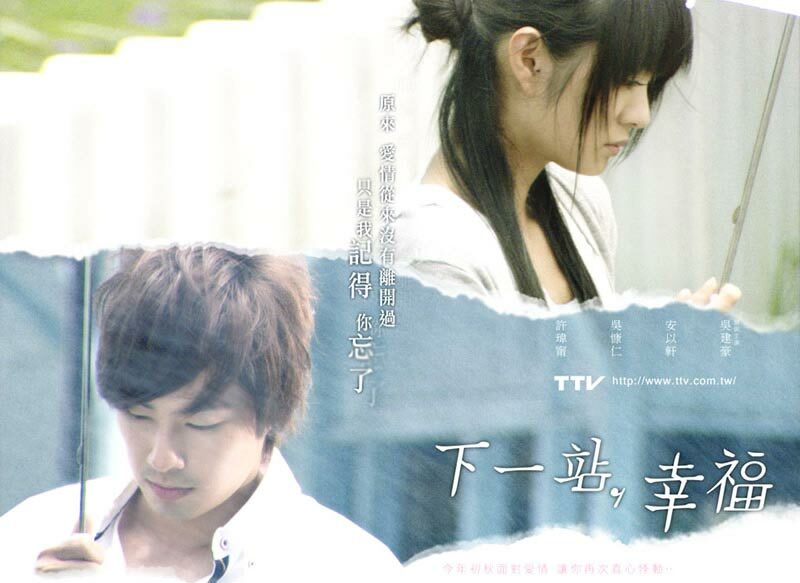 I have honestly never seen a drama so heartfelt, painful and romantic apart from this one. The two main characters are astounding together. I love this drama. Even after all the time, they haven’t seen each other for so long, they are still connected to one another. He still holds that bracelet, and hopefully the flashbacks will become more vivid. Guang Xi has in a way changed his attitude towards how he treats people, I also noticed how unethical Guang Xi has become about his job. Such a shame really, he was a much better man when he knew Mu Cheng. He knew the differences between right and wrong. Mu Cheng is still as soft and caring as always. Xiao Le, is absolutely adorable, she clearly only wants Xiao Le right now, because she can only love Guang Xi in her life. It’s kind of sad to watch when Xiao Le asks her questions and Mu Cheng is trying hard to hide her emotions and to block her memories. The lives they have made separately, you can see they are missing something, and even to the audience it doesn’t feel right. Ady An and Vanness Wu, really do have amazing chemistry together, even when he doesn’t remember her it’s astounding to see their connection. They play their parts exceptionally well, and Tuo Ye (Chris Wu) for sticking by Mu Cheng, even though it’s one sided love. I can’t help but admire Yi Qian (Tiffany Wu) for enduring all of that, but the burden to know that he loved someone before her but also because you can tell who he’ll end up with in the end. Even in later episodes, you can sense bitterness in their hearts, because there is a hole in both. For Mu Cheng, it must hurt so much, and then for Guang Xi, to not even remember what made him happy and to only now start remembering, and even then it’s blurred, so it’s confusing him. I’ve also noticed, that some old faces are reappearing, but not for good causes (Yi Qian’s dad). There is a sense of deja vu, with this whole thing. It’s beginning again, the courtcase resembled what happened to Mu Cheng before and the 240 hours of community service, he did that with what happened with his car and bus! I really cannot wait, until Guang Xi’s mum has all of this blow up in her face, she really is too selfish. Thinking for herself, she doesn’t realize to what extent they loved each other and that 6 years ago Mu Cheng was carrying his child! The moment Xiao Le saw Guang Xi, I actually almost cried. It was such a sweet moment, but Guang Xi knows nothing, and that’s what really upset me, little children are so naive. I really feel Mu Cheng’s pain of seeing her past lover, but to know he doesn’t remember is more pain than everm and when he says he lost all his memories before those 6 years, that must have felt like taking a bullet. As time passes by at the village, you can clearly tell he’s beginning to get relaxed and actually enjoy himself there, his memories from his past are getting so much more vivid, I really hope he can remember soon. I greatly anticipate the last few episodes, because no matter how sad this drama gets, I have that urge to watch it and hope for happiness. Please keep waiting for my next review!